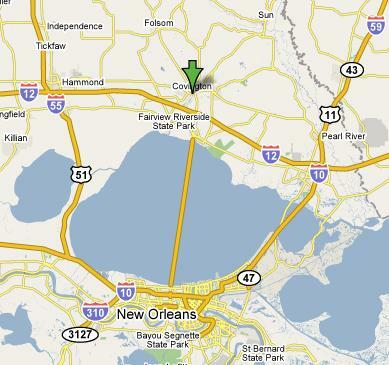 Northcoast is located in downtown Covington, Louisiana about 35-40 minutes from Metropolitan New Orleans. From New Orleans, you cross Lake Pontchartrain via the Causeway Bridge (24 miles - longest bridge in the world) Click on a Map link below for directions. When using online mapping websites such as Google, Mapquest, Yahoo, etc., our address of 610 Rutland is placed about a block to the east of our actual location (around St. John Ln.). 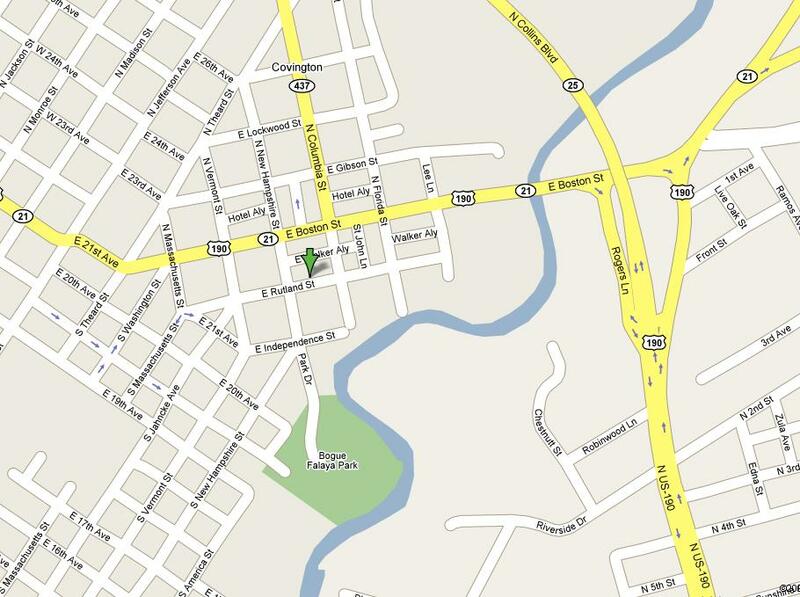 The map below shows our exact location on E. Rutland St.